AirAsia is working with integrator TransSys to centralise and streamline finance operations through Oracle's enterprise resource planning (ERP) cloud solution. The Oracle platinum partner is working on the implementation process, helping the firm standardise its business processes across finance and procurement functions. The ERP solution aims to connect the low-cost airline’s lines of business to enable a smoother operation and improve the decision making process. 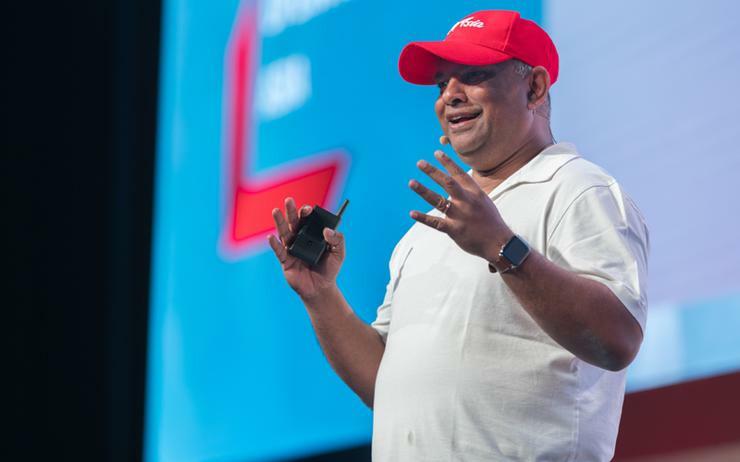 “AirAsia has championed Asean connectivity since its inception in 2001,” said Tony Fernandes, Group CEO of AirAsia. “Over the past 18 years, we have proudly grown our network and launched new routes across Asia Pacific as we delivered on our promise to our guests. “We are now writing the next chapter of our story, riding on our momentum as a business and a brand to transform AirAsia into more than just an airline. "We are going to be the travel technology company for the region, and as part of this journey, we have set our sights on becoming an intelligent, connected enterprise." The vendor’s ERP cloud solution will be full integrated with the airliner’s existing business systems, helping to provide a "single source of truth" across financial and procurement functions. Furthermore, Oracle's enterprise performance management (EPM) cloud will also help the airliner improve its global account reconciliation, effectively streamlining its ability to define author, review, and publish financial, management, and regulatory reports. “AirAsia is at the forefront of innovation,” said Mark Hurd, CEO of Oracle. “They are a leading example of how technology can optimise costs while enhancing the customer experience. “Oracle ERP Cloud provides a foundation for AirAsia’s continued growth and will help strengthen their leadership in the Asean travel industry." Through the implementation of the ERP Cloud and EPM Cloud, the airline will be in a better position to analyse route contribution and profitability, enabling core business analysis and reporting as a means to improve decision making and drive growth. “As an airline that operates in 25 markets across Asia, Australia, the Middle East and the US, we have a complex operation,” added Pattra Boosarawongse, Group CFO of AirAsia. “Our finance team needs to reconcile cross-currency data and transact with suppliers in different countries. “Oracle ERP Cloud will help us simplify, standardise and automate our financial operations across the group, and free our finance teams from mundane operational tasks to focus on growing our business." The implementation of solutions such as Oracle’s ERP Cloud enable organisations to take advantage of the benefits afforded to digital transformation, promote a more agile and dynamic operation. Key technologies that will define the future of business, such as artificial intelligence, digital assistants, natural language processing, blockchain, and the Internet of Things, can now be leveraged by organisations such as AirAsia, to lower costs, improve decision making, and better serve customers. AirAsia has a network of over 140 destinations across the Asia Pacific (APAC) region, with a fleet of over 200 planes. The firm has major operations in Malaysia, Indonesia, Thailand and the Philippines as well as India and Japan, servicing markets across Asia, Australia, the Middle East and the US.